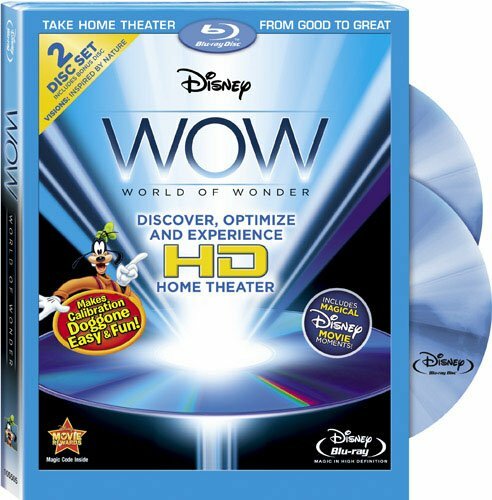 If your looking for a simple way to make sure your home theater or media room is optimized to perform its best, then the Disney WOW (World of Wonder) Blu-ray is the perfect choice. This Blu-ray disc set provides the perfect “how-to” guide for optimizing all your a/v system components. The on-screen guide is designed for both beginners and expert custom installers. The disc contains a plethora of high quality calibration tools to get the best possible picture and sound from your audio video system. Compared to other consumer level calibration disc on the market, the Disney’s WOW disc is by far the easiest and most fun to use. While the Disney WOW is a great tool, it is still is no comparison to a system optimized by a professional certified ISF technicians. ISF (Image Science Foundation) technicians are trained to calibrate your video projector or TV to exact industry standards, ensuring you get the image the director or cinematographer expected you to see. ISF technicians use precision calibration equipment and advanced computer software to achieve accurate color reproduction, far beyond just using a calibration disc alone. If you have a high-end dedicated cinema, ISF calibration is definitely the way to go. But maybe not every TV in the house needs the ISF treatment, that is where the Disney WOW disc can definitely come in handy. There is also a great video of Goofy setting up his home theater that is a must-see!